I’m doing some backend stuff to try to deal with some of the slowness I’ve been noticing on the site. This may result in some short-term wonkiness with the site. If that happens to you, don’t panic. It’s not you, it’s me. 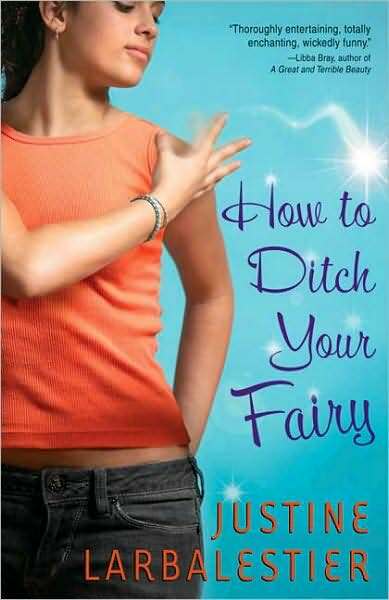 Justine Larbalestier, my absolute favorite Australian, has a new book out today: How to Ditch Your Fairy. It’s a YA book with a really fun conceit, and that is that every person in the book has a fairy that has one trick that benefits its owner: Some fairies allow you to always have a good parking spot, others make all the clothes you buy fit you just right, and so on. Justine goes to town with this idea, highlighting the downsides as well as the upsides, and writes a book that is funny and clever and smart (just like the Justine. Did I mention she’s my favorite Australian? Well, she is). 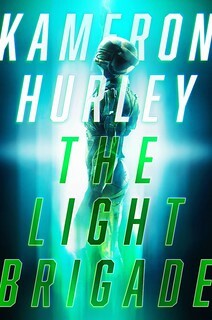 I had a ball with it, and so did Krissy, so I would recommend it to you and/or any young adult reader you might happen to know. You are allowed a fairy with one trick that works for you. What trick would you prefer? The only rule I would put on it is that this trick has to work for you specifically: You can’t wish for the “World Peace” fairy or the “My Enemies Burst Into Flame” fairy, because as nice as it would be to have world peace (or to have one’s enemies burst into flame), both of those are contingent on a lot of other factors and/or would get you thrown into prison. So pick something personally-oriented. Personally, I want the “Where The Hell Are My Keys” fairy. Because, seriously, man: Where the hell are my keys? Half the time these days I’m using the spare key to the car, and if I lose that, I’m screwed. Having a little flitty thing that knows where my key are all the time: Awesome. So that’s mine. What’s yours? I’m willing to bet that this following repeat, written in the wake of the death of noted film critic Pauline Kael in 2001, was the first and last time Kael and NASCAR driver Dale Earnhardt were ever mentioned in the same piece of writing. Let’s talk a second about fetishizing the dead. I got a letter today from a reader of mine who thinks NASCAR is a real professional sport (it is, actually, although so is arena football, so make of that what you will), dismissing Pauline Kael, the subject of a previous entry, as merely being a woman who complained about movies for a living and thus not worthy of being written about. This is direct payback for my comment in a previous Whatever about Dale Earnhardt having been a guy who made left turns for a living. His point being, it’s not nice to be mean to other people’s heroes, especially the recently dead ones. It’s not that Kael or her fans are better than Earnhardt or his fans. But at least Kael’s fans aren’t likely to be so damned tacky about remembering her. No laser-etched coins. No lawn flags. No splinters from the true cross. 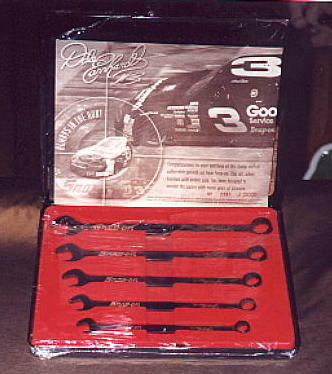 No friggin’ commemorative wrench sets, for Christ’s sake. At most, Kael’s fans will buy a book of her writing, if they don’t already own it, which, given who Kael fans are, seems unlikely. This is, I admit, almost entirely a class thing. Working class heroes are almost always fetishized after their deaths: Earnhardt being the most recent example, but Elvis being the secular pinnacle of the art (followed closely by Diana, princess of Wales, the fetishizers of the dead equivalent of Barbie). Whereas the dead among the purported intellectual class get tasteful obituaries in the short run and thick biographies later. I quite obviously prefer the latter over the former, if for no other reason than they take up less room. Of course, not that it always works out this way, either: John Lennon started out in the tasteful intellectual camp but slogged his way into the crappy tchotcke camp. And Elvis is slowly working his way up the ladder, as the snobs begin to grudgingly admit there was something to the man besides his fat sequined period. They’ll meet somewhere in the middle, and won’t that be fun. I don’t expect either Earnhardt or Kael to budge, however, from their respective positions on the fetish pole. Who wants a book on the semiotics of Earnhardt? Or a commemorative Kael pencil and legal pad set? As I mentioned in the earlier Whatever, if you’re an Earnhardt fan and you want a flag, or a bumper sticker or a laser-etched coin, fine. Have it if it makes you happy. But I do think you ought to think about why it’s being offered to you — the people feeding you this crap are doing so not because they want to commemorate Dale (or Elvis, or Diana, or whomever), but because they know that you’re willing to spend good money on it. You’re buying crap. Not that there’s a market for laser-etched Kael coins, but if there were, and someone I knew bought one, I’d call him a damn fool for doing it, too. People should remember the dead for what they mean to them, not for the merchandise to be had after their demise. Save your money and remember your heroes in your heart and mind, not in your wallet. No, not me. There was a John Scalzi back in the 1920s and 30s who was quite the sportsman, playing baseball, football and basketball, and who made it all the way into the pro leagues in the first of these, with the Boston Braves, although apparently an arm injury made his tenure very short. He went on to be the president of a minor league for a few years and eventually had a park named for him in his hometown in Stamford, Connecticut. 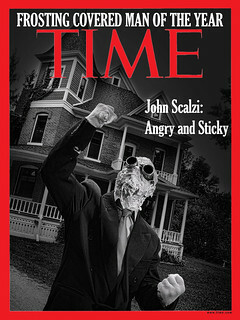 In terms of notable John Scalzis, he’s right up there with the late John B. Scalzi, in his life the nation’s most pre-eminent masonry scientist (the highest award in masonry science is the Scalzi Award, don’t you know). And you know, I don’t have a park named after me anywhere, so maybe he’s the most famous John Scalzi after all. The Stamford Historical Society has unearthed “A Tribute to John Scalzi,” dating back to 1963, so if you’re at all curious about this athletic triple-threat who just happens to share my name (we’re not related, as far as I know), here’s the link. Enjoy.